Randall Kipp Architecture is a full service Architectural Studio specializing in Residential and light Commercial designs. The philosophy of Randall Kipp Architecture is to provide comprehensive services that include schematic design, design development, construction documents and construction administrative services to our clients. 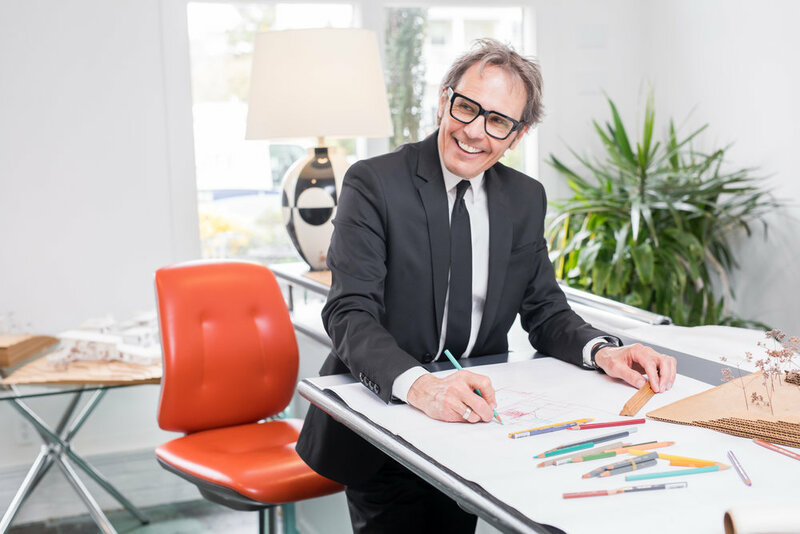 Randall Kipp has been creating modern architectural masterpieces since his days studying the craft at University of Minnesota's School of Architecture. He and his wife, Alison, moved to the Northern Neck from Minnesota in 1993 and established Randall Kipp Architecture, Inc. When designing waterfront homes, Kipp and his team create their designs with the intention of expanding the home to the outdoors and inviting the outdoors into the home thus creating an extension of the space. Modern architecture is alive and well in rural Virginia thanks to Randall Kipp and, in fact, it proves to be the ideal architectural style for truly embracing the scenic surroundings. Arrange for a conversation with Randall by clicking here. Randall Kipp and team will be honored at the USA Property Awards in association with Salice at The Toronto Marriott Downtown Eaton Centre Hotel on September 20th for their project called Tidewater. Randall Kipp Architecture will compete against the best property professionals across the USA & Americas region to be recognised in the category of architecture. The USA Property Awards are judged by an independent panel of 80 industry experts in Chelmsford, Essex, England. Judging focuses on design, quality, service, innovation, originality, and commitment to sustainability. Kipp Architecture is privileged to work on incredible projects alongside incredible individuals. Our goal is to share the stories and behind-the-scenes happenings with you. We invite you to follow us on Instagram for brilliant design eye candy, like us on Facebook, and join our private e-mail list so you'll never miss an update. [Sign up below.] Expect infrequent notes about project updates, recognition and press, and generally interesting studio news. Sign up with your email address to receive news and updates from Randall Kipp.